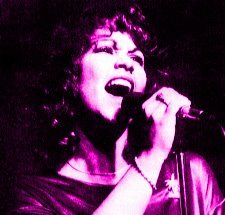 Australia’s ’70s disco princess and Countdown regular Christie Allen has passed away after a short battle with pancreatic cancer. Famous for her No.3 hit ‘Goosebumps’ (1979) and ‘He’s My Number One’ (1980), Christie was voted the most popular female (performer) at the 1979 and 1980 Countdown Awards. Her final public stage appearance was at Mushroom’s ’25Live’ Anniversary Concert at the MCG in November 1998, where she performed ‘Goosebumps’, sharing the stage with some of the biggest names in Australian pOp music. Fiercely protective of her private life and her family, Christie passed away at her home in Western Australia early yesterday morning. She was 54.